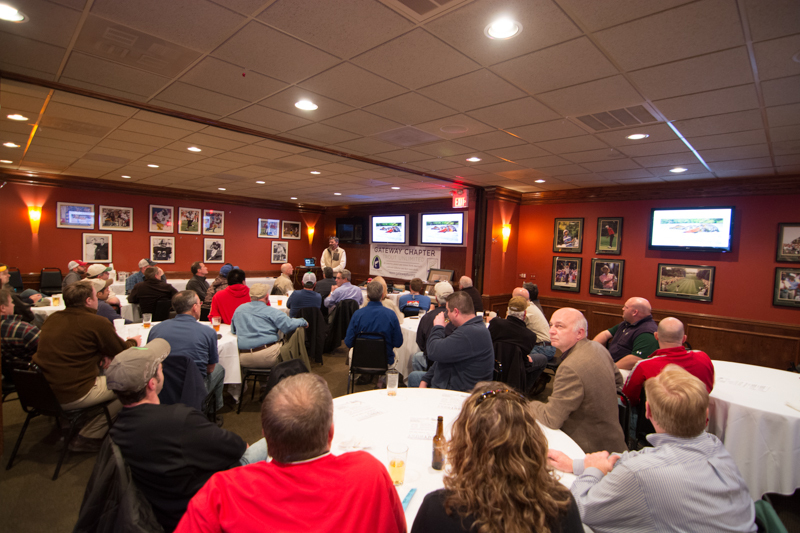 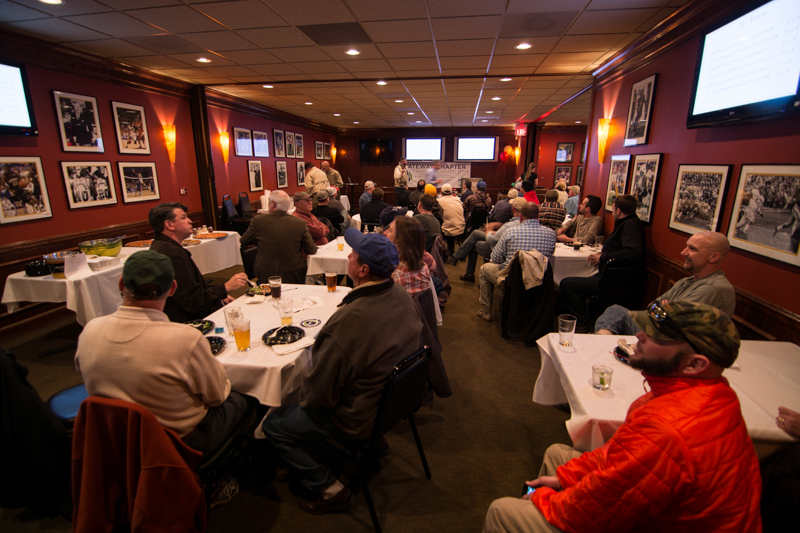 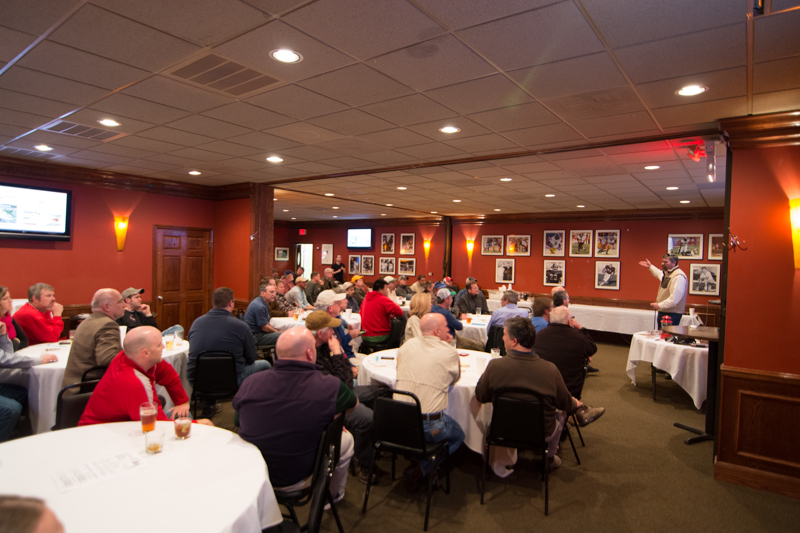 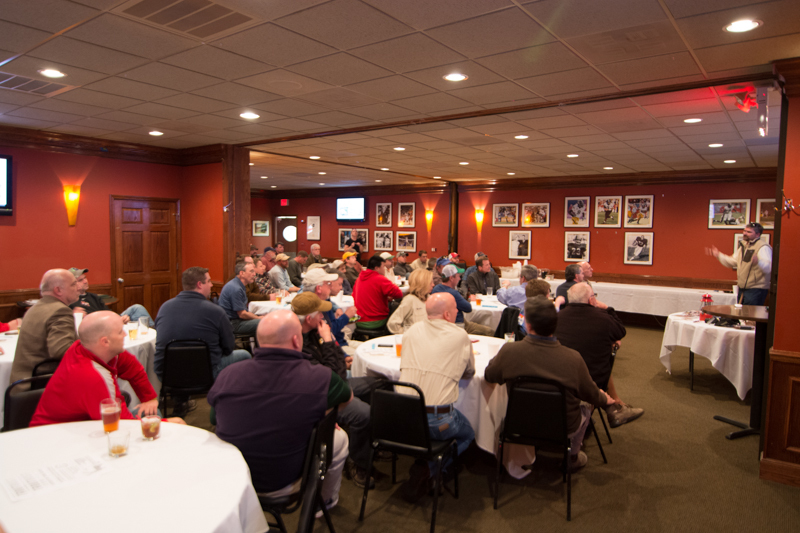 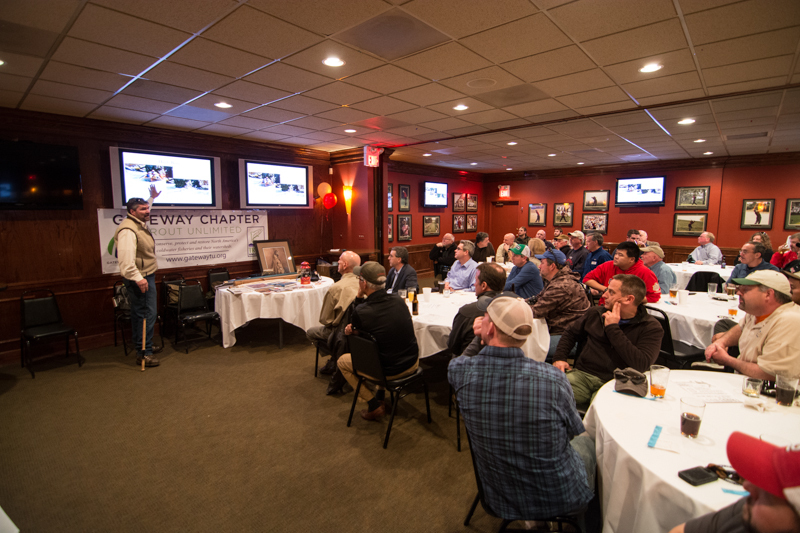 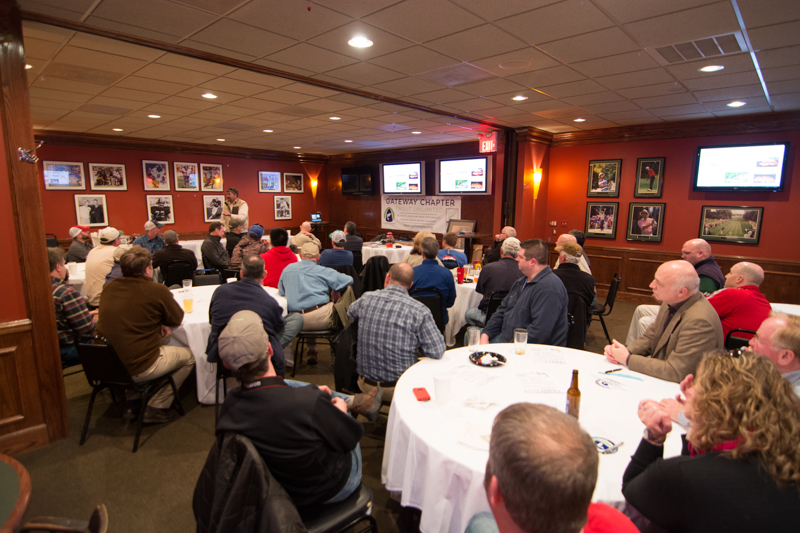 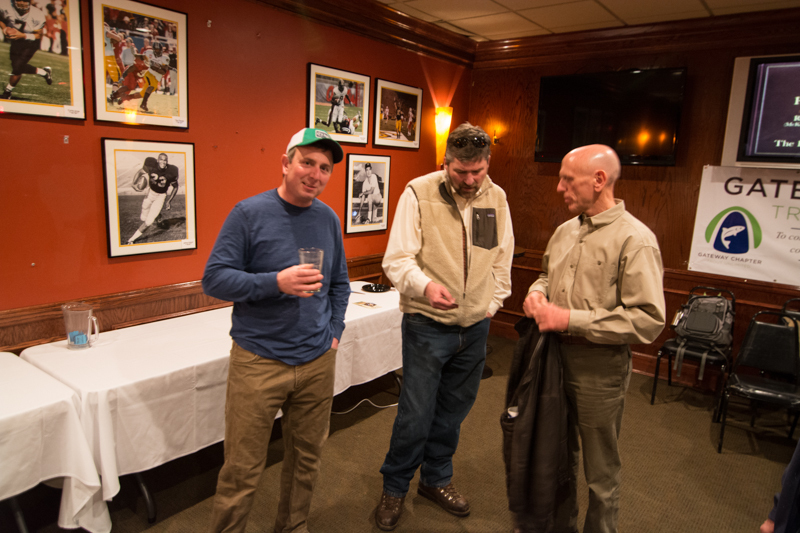 Over 80 members of the Gateway Chapter of Trout Unlimited turned out for the inaugural meeting of the chapter. 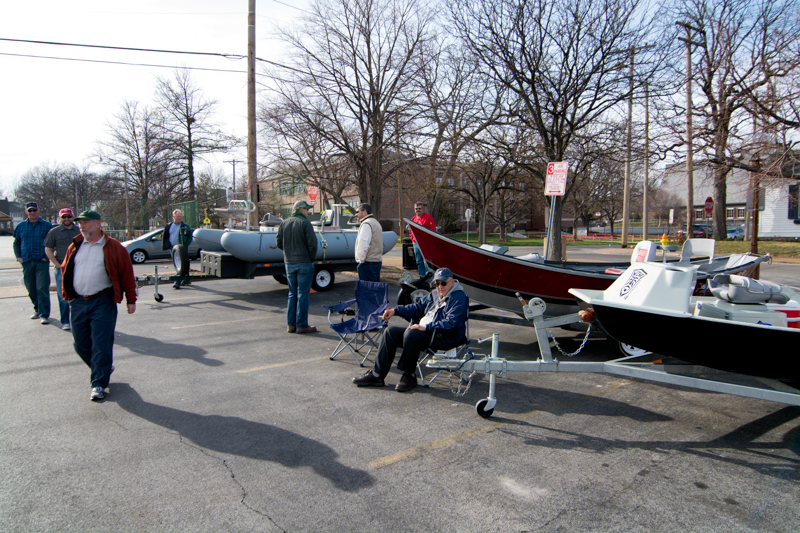 The night started with a car show of sorts, for drift boats we deemed a “Drift Boat Rodeo”. 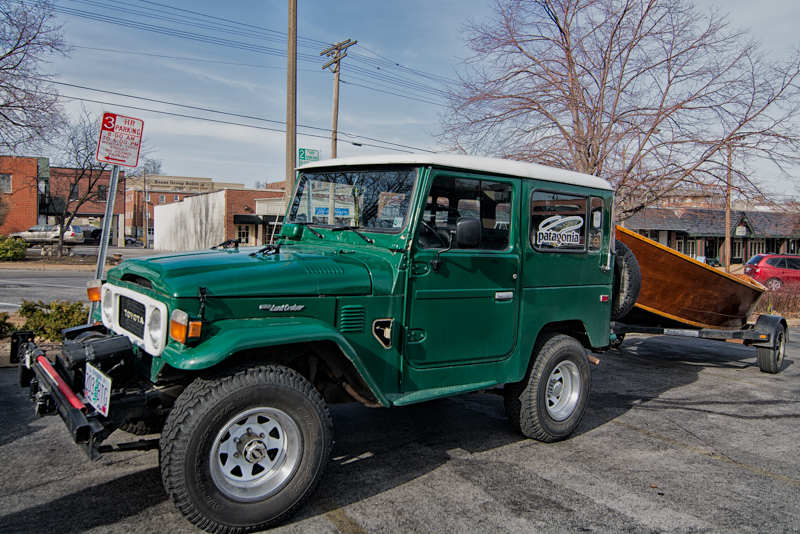 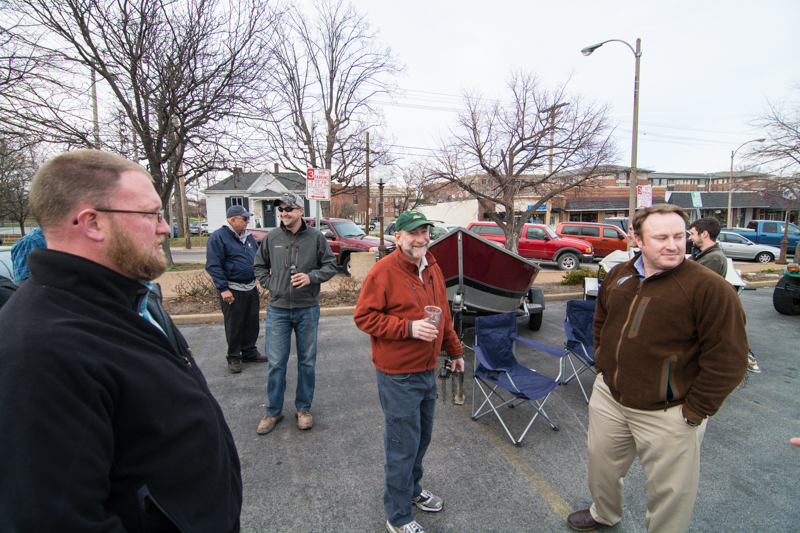 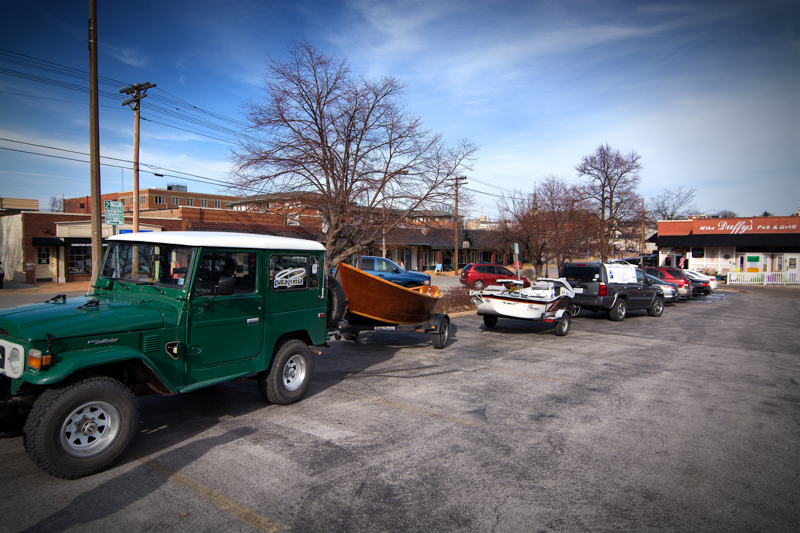 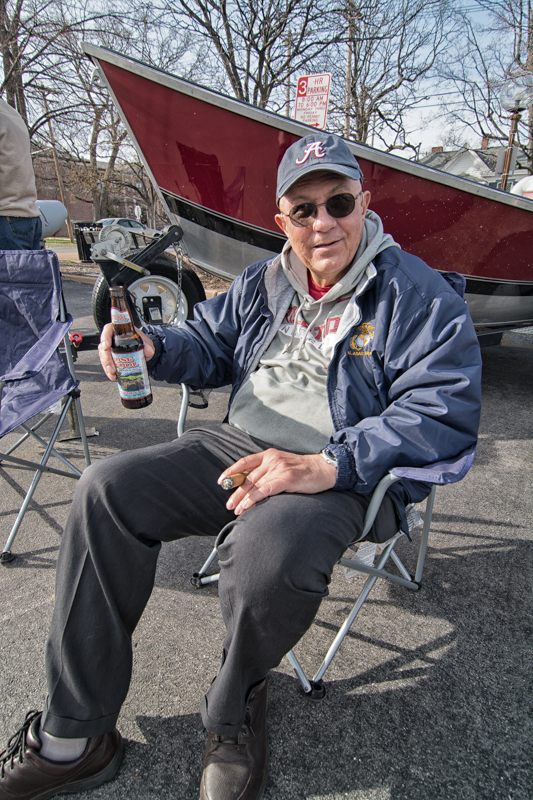 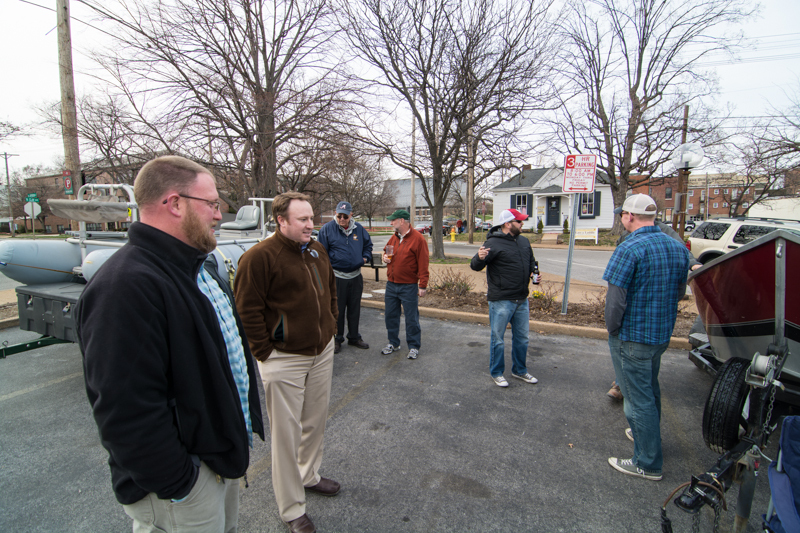 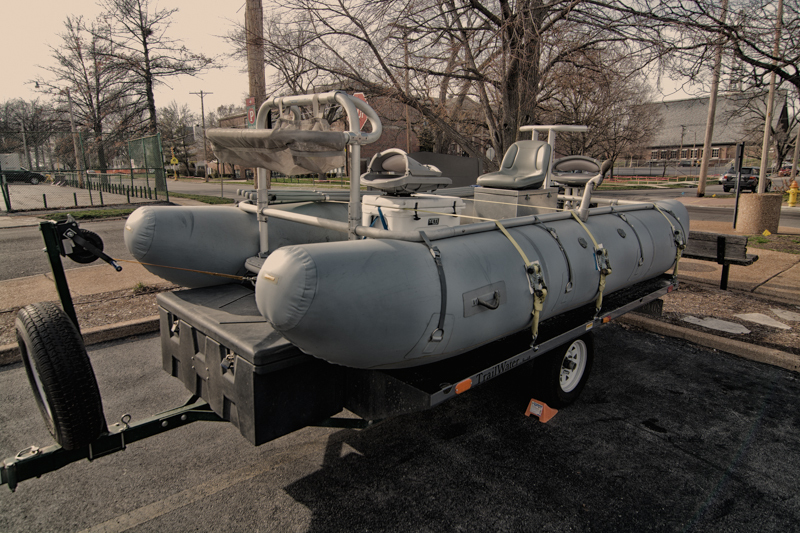 We had six drift boats set up in the parking lot of Mike Duffy’s Bar and Grill in Kirkwood, Missouri for members to check out before and after the meeting. 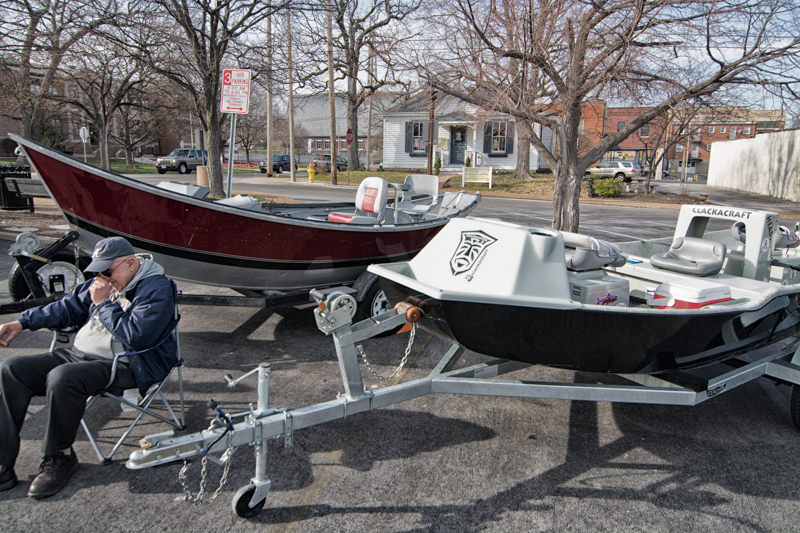 Drift boats are becoming a popular tool for ozark anglers and we are seeing more and more of them on some of our local waters. 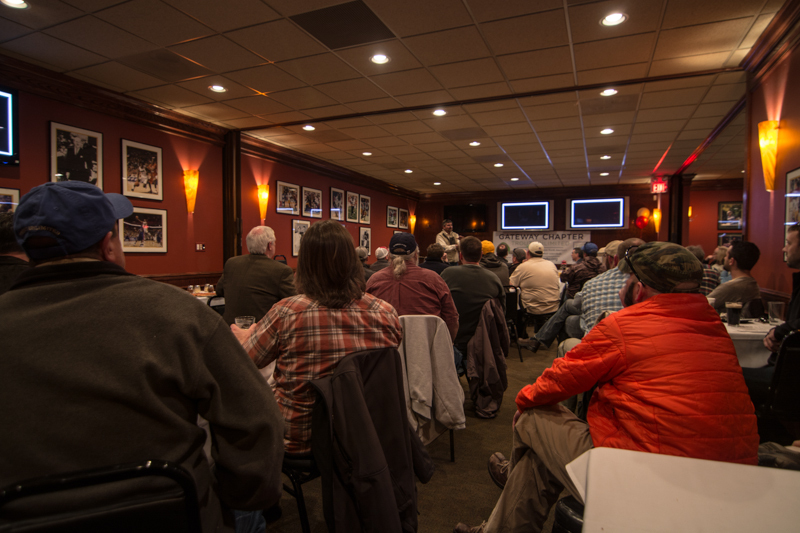 Greg Hatten from Oregon gave one of the best fly-fishing presentations that I have seen as he spoke about steelheading in the pacific northwest and told tales of retracing famous floats in era correct wooden drift boats. 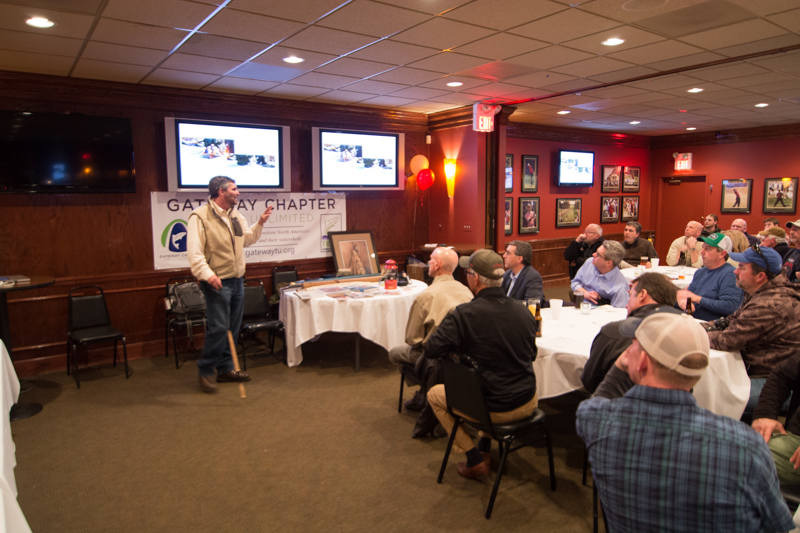 The audio visual component of Greg’s presentation was stellar and the layout of the meeting room didn’t have members squinting to see a large screen at the front of the room thanks to the numerous flat panel monitors placed throughout the room. 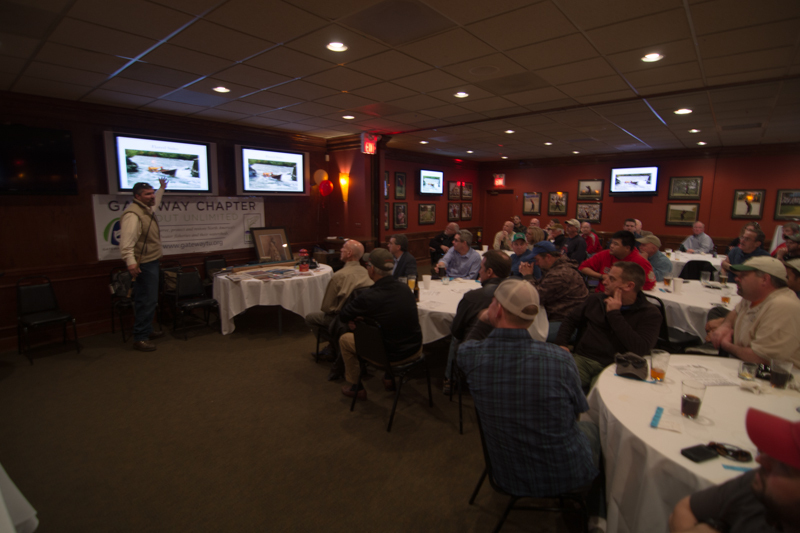 Through generosity of the membership we held our first 50/50 raffle and Andrew Arnold was the winner and we were able to raise funds to help cover the operating expenses of the chapter. 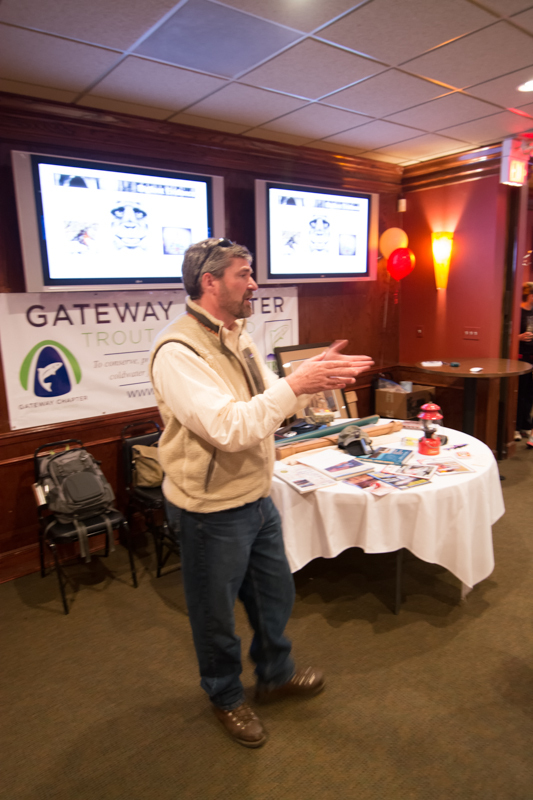 We also were able to give away some more GTU stickers and also played our version of a wedding reception game where I named off random trout streams in Missouri and if you hadn’t fished them within the last year, you sat down, and the last person standing won a prize. 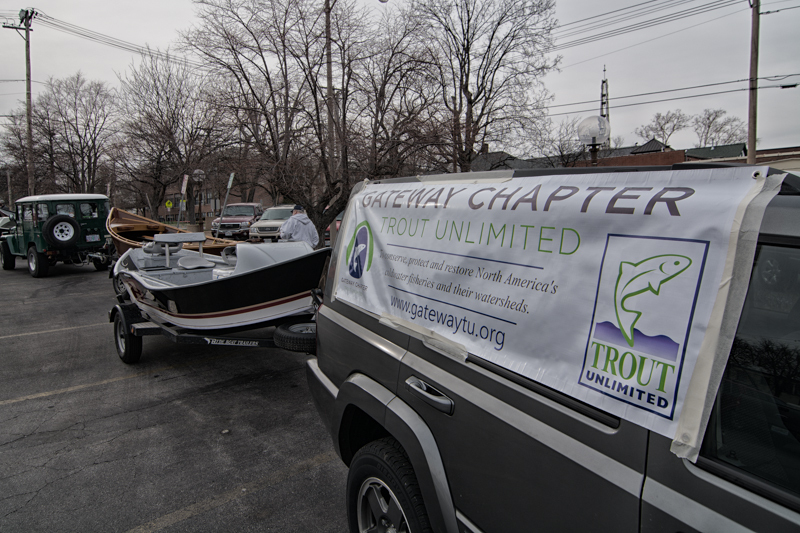 Chris Barclay took home a nice GTU logo’d fishing shirt by fishing several of the creeks, including Crane Creek and Barren Fork Creek. 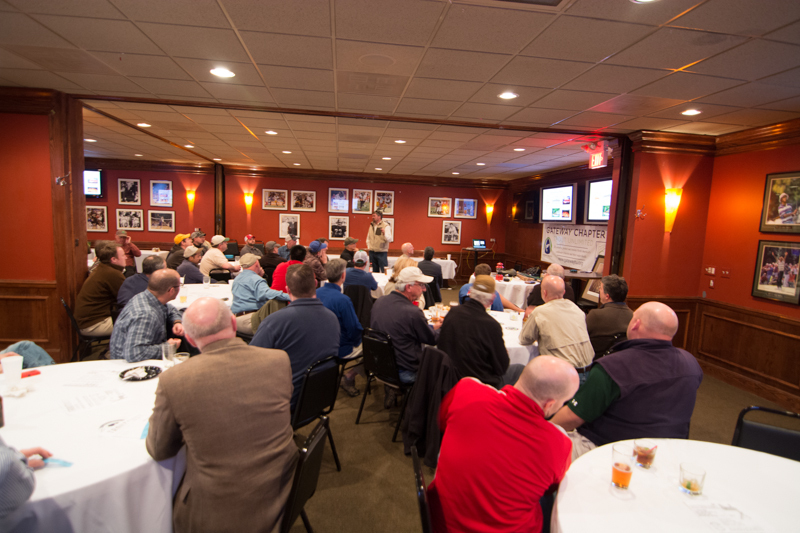 It was a great way to kick off our chapter meetings and will be a hard one to follow.